Backed by three diving defensive stops in the ninth inning, Los Angeles got a combined no-hitter in a 4-0 victory over Seattle on Friday night. 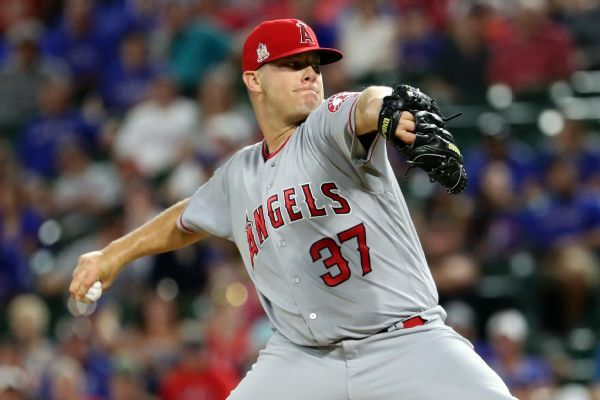 The Los Angeles Angels have agreed to a $1 million, one-year contract to keep right-handed reliever Andrew Bailey, the first of this year's 157 free agents to reach a deal. 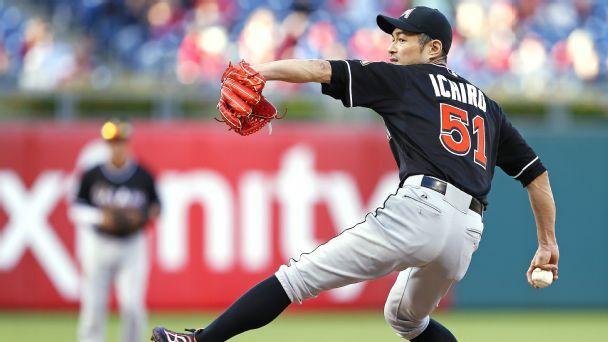 Baseball was downright illogical in 2015. Jayson Stark mines the regular season for the wackiest, most unpredictable performances, injuries, box scores and more from the Year That Was. 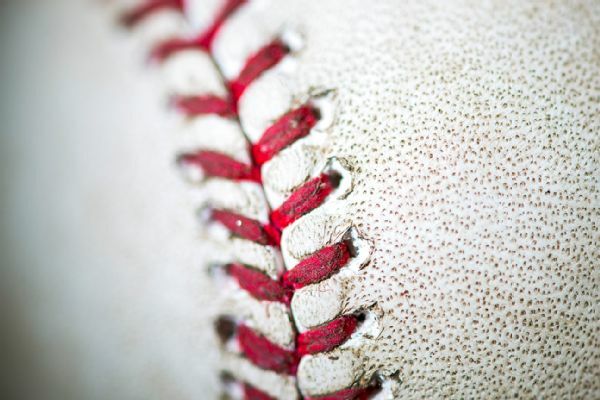 A roundup of the rumors around the major leagues. The Minnesota Twins get their sixth win in a row and top our nightly Top 5. Yankees pitcher Nathan Eovaldi looked capable of perfection Wednesday before the sixth inning. And he still got a win, thanks to Greg Bird. Alex Rodriguez hit a go-ahead, seventh-inning grand slam to give the New York Yankees a one-run lead in what turned into an 8-4 win. 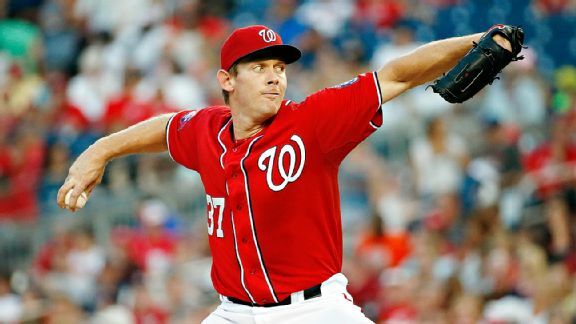 The Washington Nationals needed a shot in the arm after tumbling out of first place in the NL East this week. They got one in Stephen Strasburg. 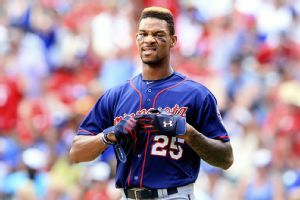 The Minnesota Twins have placed outfielder Shane Robinson on family emergency leave. Robinson traveled to Boston after his infant daughter underwent emergency surgery.